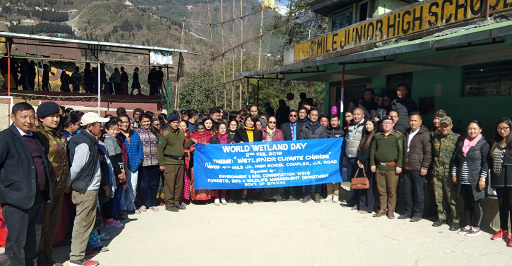 The World Wetlands Day on 2nd February 2019 was celebrated with the theme “Wetland and Climate Change” in a befitting manner in the premises of Govt. Jr. High School, 4th mile, J.N.Road. The program focussed on awareness and sensitization on management and conservation of wetlands to mitigate climatic change. A mass gathering was invited on the occasion which was participated by panchyats and local public, officers from HRDD, Indian Army, GREF, Sikkim Police, representative of WWF, teachers, students and distinguished NGOs like Pokhari Sangrakshan Samiti of Tshongu, Bedang (Kupup) Eco-Division Committee of Lagyap and Serethang, Self Help Group of Kyongnosla, Karponang, 3rd ,4th, 5th & 7th mile, J.N.Road and media personnel. The programme started with welcome address by Divisional Forest Officer, Environment & Soil Conservation (East) and was followed by sit and draw competition by class III to V students and essay competition by class VI to VIII students on the theme “Wetlands and Climate Change”. The programme was chaired by Mrs. Yangchen Lachungpa, Zilla Panchyat member of 51-Kyongnosla GPU. 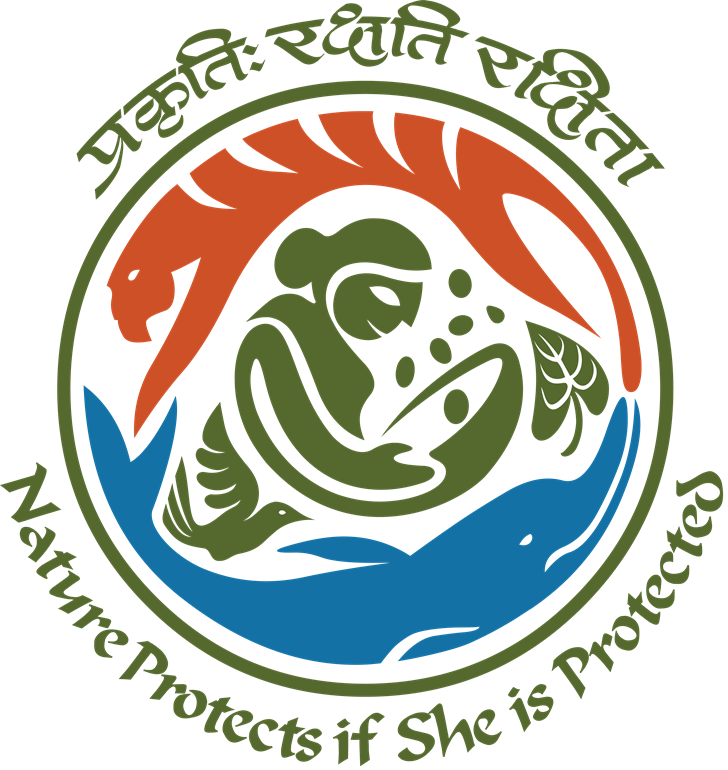 The introductory address on wetland was presented by the WWF representative Mr. Partho Ghose. The CCF(HQ) Mr. Bhuwan Pradhan IFS elaborated on the importance of wetlands and its impact on climate change, like wise Divisional Forest Officer Environment & Soil Conservation(N) Mr. Sonam Wangdi Bhutia, Panchayat President Mr. I.K. Rasaily and Head Mistress of 4th Mile JHS Mrs. Karma Choden Palzor Bhutia also addressed the gathering on present scenario of surrounding environment and its relation to wetland with the roles and representations of local people. The Programme concluded with distribution of prizes and certificates to the winners and participants of the sit and draw competition and essay writing competition followed by the vote of thanks by Mr.Karma Sonam Bhutia Range Officer(T) Kyongnosla Range(E).